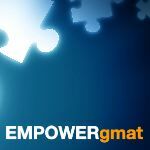 I took GMAT an year back and scored 660 Q47 V34, dint order ESR. For the schools I am aiming for I need to get somewhere around 710. Have been preparing since June 3rd, Gave my first mock yeterday and scored 700 Q48,V38. Q48 with 49 in PS and 48 in DS. Somewhere I know that I can manage a 49 in the actual GMAT. My real worry is verbal. SC-36,CR-40 and RC-33. This when I got around 17 SC,11 CR and 13 RC. The average timing for the section was 1.25 for SC;2.3 for CR and 2.15 for RC. I did remember answer for 1 SC question. My timing went haywire so I had to guess on few CR's and the last RC (I got them wrong). So, in effect I think that taking lot more time in SC is what is my biggest problem. 2. Read and understand the original choice wrt the meaning and then eliminate (with the differences I found in the initial scan) a few choices. 3. Off the options left I re-read the un-underlined portion with the options at hand. (Here i take a lot of time to zero in on the answer). I am done with around 70% of OG-SC and my average timing has been around 1.3 mins. The best way to improve speed on SC - is to be able to answer the question without reading all the answer choices. Let's face it - there's tons of reading on the exam - and it takes a toll on your mental capacity. If you are able to figure out how to arrive at the correct answer without reading all the answer choices -- or at least without reading the entire answer choice - that can save a ton of time. That's part of what we teach at GMATPill - how to get to the correct answer without reading every single word of every answer choice. In some cases, we are able to arrive at the correct answer in <30 seconds -- if you do that a few times - then that can free up a lot more time for the time-intensive CR and RC questions that require a lot more thinking. 1) What study materials have you used? 2) What 'steps' do you go through on a typical SC, RC and CR prompt? 3) What is your exact Test Date? Hey Sharath - I am in a similar position. Took my first mock yesterday - GMATPrep 1 - Q46V34 (650). I have been prepping for a month odd with Veritas classroom course. Havent been able to focus till last 2 weeks. I am at 1min45sec @ SC. As previously stated, timing issues don't occur in a vacuum. I rushed the second half of both V and Q. I reviewed some time tracker tips on youtube. Basically have a 'burn' list and dump out of those questions next time - eg CR with boldface (for me) matching arguments. Never seem to get them right. My target score is close to yours. My current focus area is DS and SC. As a non-native speaker I approach the SC like you do. The read and fix strategy works in the 500-600 level max. After that its tough to apply .... 80percentile onwards it gets ugly!! 1) What study materials have you used?- Took classroom coaching with Crackverbal, used OG and VR. 1. Read the passage in 3-4 mins.. I do try getting the tone of the author and the overall view without getting into details. 1. Read the question whether its assumption,inference etc. 2. Understand the premise-conclusion and quickly prethink some solution. 3. Eliminate wrong options and arrive at the correct one. I reviewed my GMATprep 1 SC yesterday in depth, tried redoing those questions again with timer one. I took around 1 min on an average, a good percent that I got wrong earlier I could get them right this time. What I realized was that with the time presssure, I fixated myself to pure grammatical rules. In one of the questions I outright rejected two options because a ver+ing modifier was immediately after a (preposition+noun) and it didnt make sense. While reviewing I understood that I was really getting into the finer details without getting a hang of the bigger picture. Today I will try doing the same on new SC questions and update the results here. CR-I have taken a conscious call to skip BF, unless it comes at the start. With my average timing, I will have to skip 1-2 CR and run super quick on 1-2 SC. Do update on what worked for you and what did not! Hey Sharath - I am in a similar position. 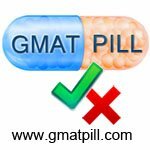 Took my first mock yesterday - GMATPrep 1 - Q46V34 (650). I have been prepping for a month odd with Veritas classroom course. Havent been able to focus till last 2 weeks. I am at 1min45sec sc. As previously stated, timing issues don't occur in a vacuum. I rushed the second half of both V and Q. I reviewed some time tracker tips on youtube. Basically have a 'burn' list and dump out of those questions next time - eg CR with boldface (for me) matching arguments. Never seem to get them right. My target score is close to yours. My current focus area is DS and SC. As a non-native speaker I approach the SC like you do. The read and fix strategy works in the 500-600 level max. After that its tough to apply .... 80percentile onwards it gets ugly!! Based on what you've described, it is not clear how often (or how thoroughly) you are taking notes as you work through the Verbal section. Based on the pacing issue that you describe, I have to assume that you're doing too much work "in your head" - and that is costing you a LOT of time since you end up having to reread and reread and reread portions of each question (on SCs, RCs and CRs). Thus, it might be that changing your 'process' a bit might solve all of these issues. The question is whether you can commit the next few weeks to consciously changing your approach or not. I think I saw the note-taking video on Youtube. Yes I believe thats the case with my SC. I do take single line summary notes for each RC para. I rewrite PREMISE --> Conclusion logic in CR. Strategic note taking on SC may be the key. Havent practiced much OG material and thats my focus now. Will report back for sure. Hi Sharath, should it not be step 2 first (understand the original choice wrt the meaning) and then step 1? I believe notes are required for RC, because it helps us stick to the passage. CR and SC I do not think so. Yes, it ideally should be meaning first, but quickly going through the options(in say 10 secs) direct me to possible errors in the first read. I am still trying different methods to improve my SC.